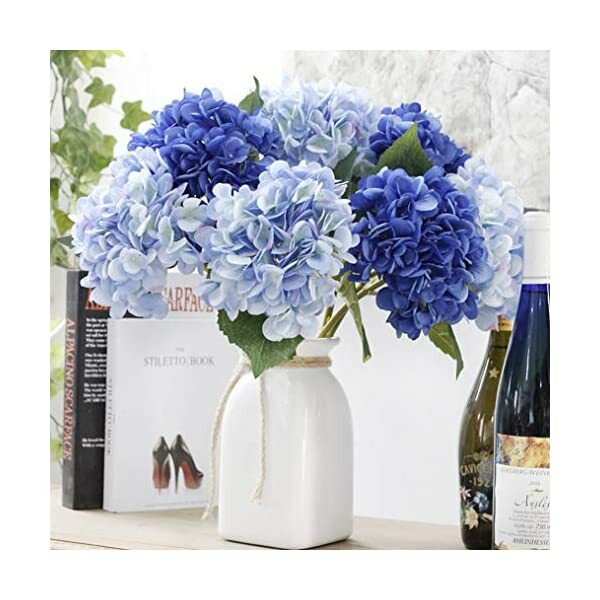 Flower Material: French Hydrangea Flowers are made of silk. Wire wrapped with plastics is used for firmness and angle-adjustable in creating the stems. 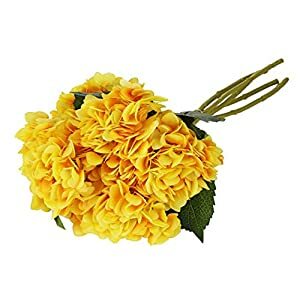 Diameter:The diameter of the flower is around 7.5″. 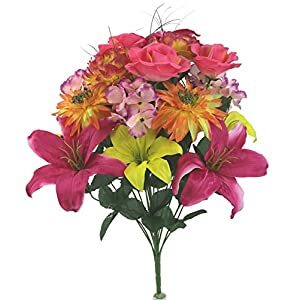 The length of the bouquet is about 18″. 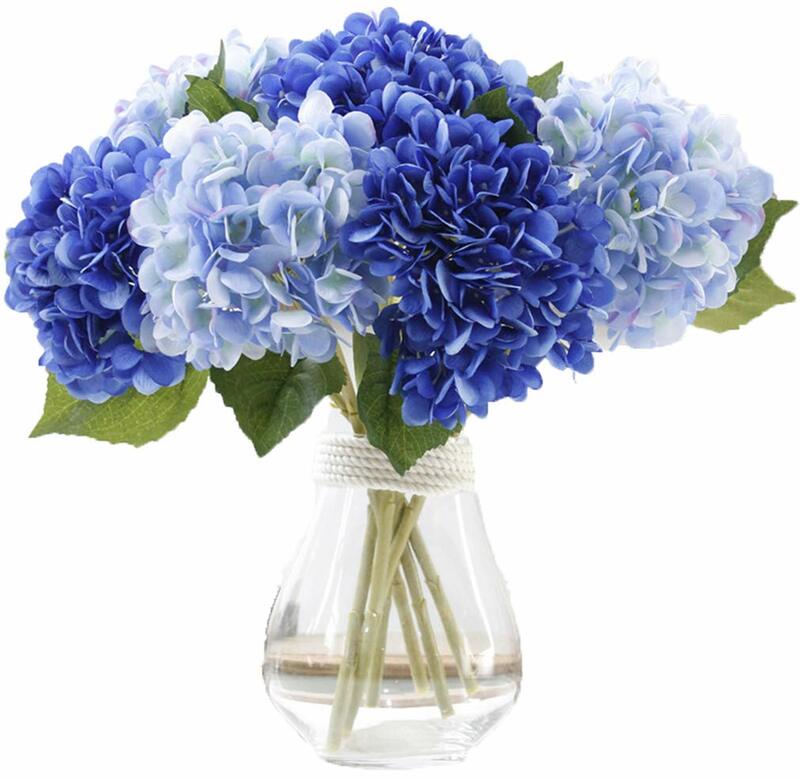 Package:1 bouquet contain 4 PCS hydrangea per pack,2 PCS dark blue,2 PCS sky blue,evey fake flowers with long stems leaves and big leaves. Flowers are such joyful and full of life presence. They’re known to make people better and happier and They’re sunshine, food and medicine for the soul. 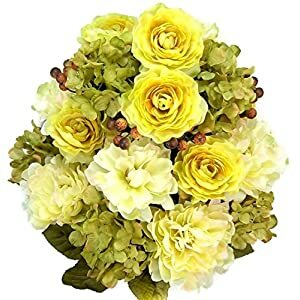 Flowers lighten up any setting and bring in a sense of exclusivity to the place. 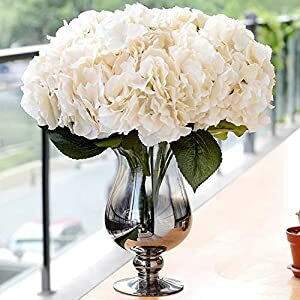 But, there are chances that the flower arrangement you bought might be sitting to your neighbor’s table as well. The hydrangea bouquets are compressed for ease of storage and transportation. 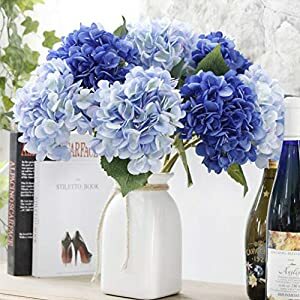 They simply had to be fluffed out if you receive them. 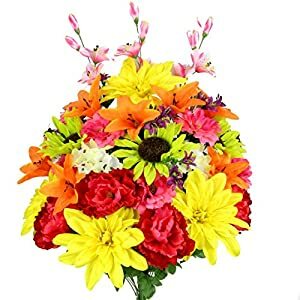 Please do not fret when you receive the bouquet with some flowers fall off, just plug the flowers on your own as they are able to be assembled. 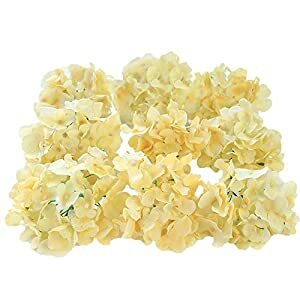 As hand-assembled products, the flowers are inspected by workers at each and every step of the method before wrapped and packed for shipping. 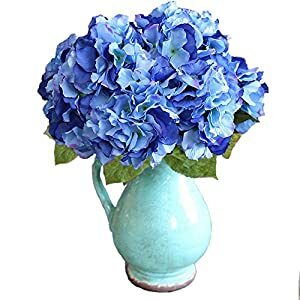 The hydrangea is breathtakingly real and should be touched if They’re to be distinguished from nature’s own. They are not looking for water, sunlight, fertilizer, or tender care. You’ll be able to change the colour and the texture of a room by artificial flowers which can be thought to be to be a quite small investment. Flower Subject material: French Hydrangea Flowers are made of silk. Wire wrapped with plastics is used for firmness and angle-adjustable in creating the stems. 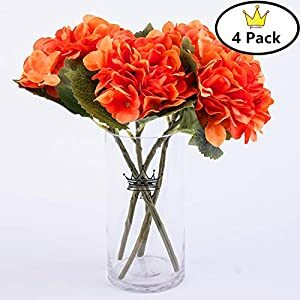 Classic European style and high realistic appearance, Easiest decorative flowers for wedding, party, home, garden, hotel, centerpiece decoration. We give you the 100% outstanding satisfactory customer service. 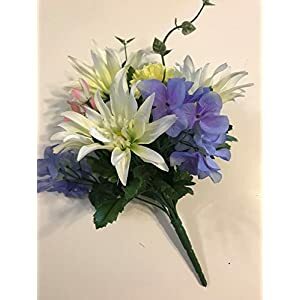 The plastic flowers head are full and beautiful,Petals is soft,natural-having a look;No color fading and no flower drop off,The branches and leaves of the bouquet will also be assembled and trimmed. 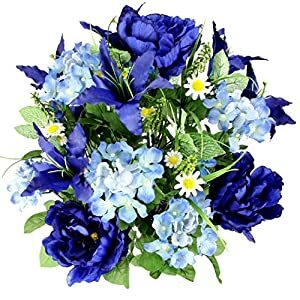 You’ll be able to come to a decision at the shape of the bouquet in keeping with your needs.